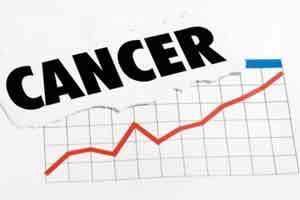 New York : Using a nanoparticle that delivers a drug and then glows green when cancer cells begin dying, Indian origin researchers have found a way to detect the effectiveness of cancer treatment much sooner than currently available clinical methods. Being able to detect early on whether a cancer therapy is working for a patient can influence the course of treatment and improve outcomes and quality of life. However, conventional detection methods such as PET scans, CT and MRI usually cannot detect whether a tumour is shrinking until a patient has received multiple cycles of therapy. The new approach can read out on the effectiveness of chemotherapy in as few as eight hours after treatment, and can also be used for monitoring the effectiveness of immunotherapy, the study said. “Using this approach, the cells light up the moment a cancer drug starts working. We can determine if a cancer therapy is effective within hours of treatment,” said co-corresponding author Shiladitya Sengupta from Brigham and Women’s Hospital in Boston, Massachusetts, US. “Our long-term goal is to find a way to monitor outcomes very early so that we don’t give a chemotherapy drug to patients who are not responding to it,” Sengupta noted. The new technique takes advantage of the fact that when cells die, a particular enzyme known as caspase is activated. The researchers designed a ‘reporter element’ that, when in the presence of activated caspase, glows green. The team then tested whether they could use the reporter nanoparticles to distinguish between drug-sensitive and drug-resistant tumours. Using nanoparticles loaded with anti-cancer drugs, the team tested a common chemotherapeutic agent, paclitaxel, in a pre-clinical model of prostate cancer and, separately, an immunotherapy in a pre-clinical model of melanoma. In the tumours that were sensitive to paclitaxel, the team saw an approximately 400 percent increase in fluorescence compared to tumours that were not sensitive to the drug. The team also saw a significant increase in the fluorescent signal in tumours treated with the anti-PD-L1 nanoparticles after five days. “We’ve demonstrated that this technique can help us directly visualise and measure the responsiveness of tumours to both types of drugs,” co-corresponding author Ashish Kulkarni, BWH, noted.